As cities across the East Coast saw record-setting snowfall last winter, salt mines struggled to keep up with the demand for rock salt to clear roadways. 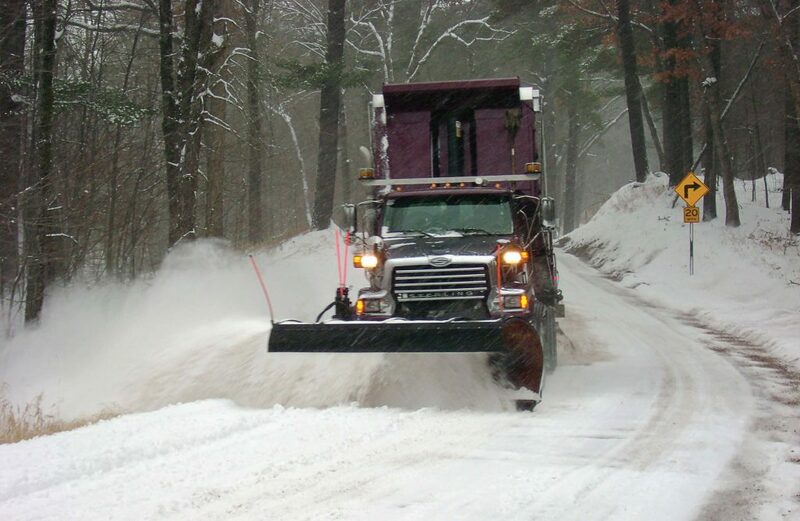 The tried-and-true product not only melts the snow, but deices roads and provides a level of safety necessary for municipalities to operate on a daily basis during cold winter months. While the benefits are apparent, the toll the use of rock salt takes on the environment has lasting effects. So, what if there was another way to provide the same service, or at least make the current supply of rock salt last longer, without further harming the environment, all while saving local governments a few dollars? Enter beets, pickle juice, cheese brine and vodka. That’s right — municipalities are using locally sourced byproducts to make their salt supplies last longer. During winter 2008, the county tested the solution and found that adding the brine to salt or sand in the spinner before it’s released saved it 30-40 percent of salt usage. 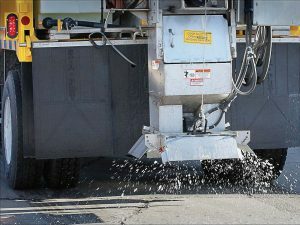 Norby said this is because the brine thins the solution and allows the salt to activate faster, which ultimately saves the county product and is helpful with budget. 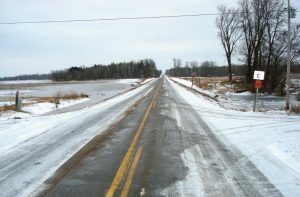 While rock salt has been the primary mode of deicing and winter roadway control since the 1950s, the environmental trade off has been front of mind for environmentalists in recent years. 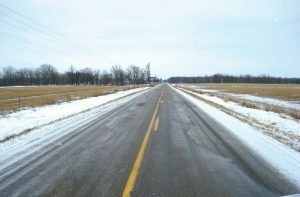 According to an LA Times article, Xianming Shi, an associate professor of civil and environmental engineering at Washington State University who has researched environmentally sustainable and cost-effective winter road treatments for more than a decade, said impacts of rock salt usage include killing vegetation along roadsides, corroding steel bridges, concrete pavement and cars and high levels of salt in groundwater. That’s where municipalities have turned to byproducts. Not only do they tend to be environmentally friendly and biodegradable, a partnership can typically be worked out where both entities benefit, and the waste material helps the rock salt supply stretch longer. Polk County isn’t the only entity taking advantage of local waste products on its roadways. Lincoln, Neb., uses beet juice. A company in the United Kingdom specializes in taking plastic from landfills and melting it into pellets that can be used to fill potholes. Research is being conducted to see how vodka can be used as a deicing agent. As far as challenges, Norby said the transition from traditional rock salt to the cheese brine-rock salt mix has been fairly smooth. The county currently uses between 20-35,000 gallons of brine per winter season, depending on the severity of the weather. No matter how hard he tries though, Norby can’t avoid the jokes from surrounding counties.